This message appears when your country settings on the PrestaShop back-office settings are not inclusive of the country from which the order was placed. 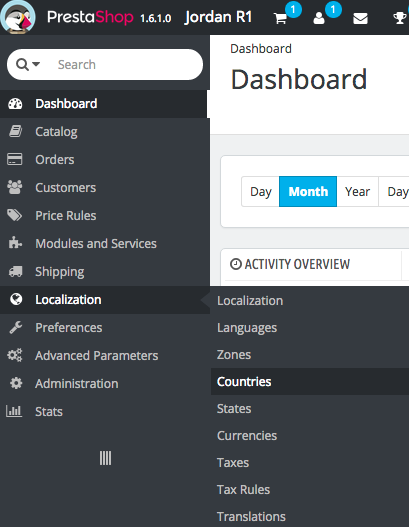 First, navigate to Localization > Countries and make sure that country is enabled, by clicking on the red X. After clicking “Apply” you will see the list of countries you have enabled for purchase. If you would like to be more specific with allowances, you can specify states and country zones in the appropriate tabs under “Localization.” At this point, you may re-synchronize your orders and retrieve the blocked order.